Mr. Charles A. Ramsay has practiced Criminal Defense since 1995. He prides himself on being on the cutting edge of criminal defense and has helped pioneer a number of defenses in Minnesota, including faulty eyewitness identification, false confessions, and the right of a defendant to present alternative suspects to a jury. Today, he practices primarily in the area of DWI/DUI criminal defense, including appeals and civil forfeitures arising out of alleged criminal conduct. He has tried dozens of cases, the majority of which have resulted in a not guilty verdict. A U.S. Army veteran, Chuck now defends citizens’ constitutional rights in the courtroom and in the appellate courts. Chuck has appeared before the Minnesota Court of Appeals and the Minnesota Supreme Court in more than 100 cases. Chuck is a graduate of the University of Wisconsin-Madison and William Mitchell College of Law. He is also one of only two Minnesota lawyers to graduate from the prestigious Robert F. Borkenstein Course on Alcohol and Highway Safety: Testing Research and Litigation at the University of Indiana, 2007. He is a member of the prestigious Minnesota Society of Criminal Justice (MSCJ), a professional association limited to the top 50 criminal defense attorneys in the state. 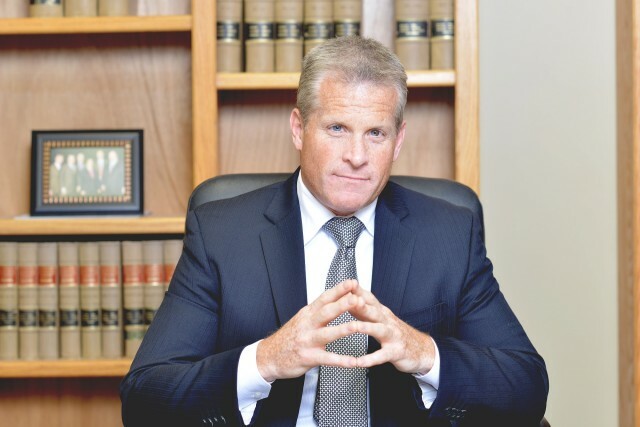 Chuck is a founding member of the DUI Defense Lawyers Association, as well as an active member of the National College of DWI Defense (NCDD) and the Minnesota Association of Criminal Defense Lawyers (MACDL). Chuck also regularly serves as a faculty member at continuing legal education classes teaching attorneys the practice of DWI Defense both nationally and in Minnesota. He has also published numerous articles including chapters in Inside the Minds: Understanding DUI Scientific Evidence, and is a contributing author for the Minnesota DWI Deskbook. Chuck has been named “Super Lawyer” by Minnesota Law & Politics, Twin Cities Business Monthly and Minneapolis/St. Paul Magazine and as “Top 40” of all the criminal defense lawyers in Minnesota. He was also named as “Attorney of the Year” in 2011 by Minnesota’s principle legal publication, Minnesota Lawyer. Throughout his career, Chuck has successfully challenged the constitutionality of unjust laws and invalid and unreliable scientific testing methods. A Certified Intoxilyzer 5000 operator, Chuck has testified about the shortcomings of the Intoxilyzer 5000. He intervened in the federal source code lawsuit and obtained access to the actual source code for the Intoxilyzer 5000 and was co- lead counsel of the Source Code Coalition. Since then he has been certified by the DataMaster manufacturer as an operator and supervisor. After Minnesota discarded the Intoxilyzer, Chuck traveled to Mansfield, OH to visit the manufacturer of the Intoxilyzer’s replacement, the DataMaster DMT. There, he was certified as an operator and supervisor and immediately transferred his skills to renewing the scientific fight against DWI breath tests in Minnesota. Mr. Ramsay is the only lawyer in the State of Minnesota that has earned “The ACS-CHAL Forensic Lawyer Scientist Designation as recognized by the Chemistry and Law Division of the American Chemical Society (ACS). Mr. Ramsay can be reached at www.RamsayResults.com.